James Patrick Sanders, 75, passed away on May 26, 2015 in Mesa, Arizona. He was born on March 20, 1940 in Detroit, Michigan. He is survived by his son, James “Jim” Daniel Sanders; his daughter, ShaMarie Kathleen Shauer; and his grandchildren, Kevin Shauer, Brianna Shauer and Dusty Shauer. 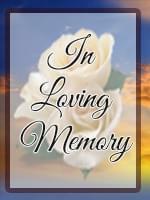 A Celebration of Life will be held in late July, family and friends will be notified of exact date, time and location. Memorial contributions may be made to Jim Sanders so that he can take his father’s remains to Pebble Beach Golf Resort.